Rate this Article In this article, we explore the difference between the 2 most popular forms of strategy games in detail. Gameplay has always been the deciding factor on whether people will enjoy and continue to play a game or possibly get frustrated and abandon it altogether. This just doesn’t apply to video games but gaming in general. However, the way a game is played is much more pronounced with video games due to the highly competitive atmosphere and the short life-span of video games compared to traditional ones. Games like Chess, Backgammon, Ping-Pong or even Snake and Ladders have survived through the years so we can be sure of their game-play one way or the other. Today in our modern cyber age, electronic, video or computer games come and go within the span of a few years. Games have to be designed with the correct or proper game play so as to get the players attention and interest for a long time or to finish or complete the game. There are many factors which make up a game’s game play but the most basic of these is whether the game is played by turns (their side, your side, their side…) or in real-tine (everybody hit each other all at the same time). As to which game play is better, that will depend on whether the player plays his games as a deep thinker or a quick thinker. Strategic gaming has been around since mankind discovered and learned to use the science of warfare. The art of thinking and planning to achieve desired objectives (Strategy) coupled with the way it is executed (Tactics) has become the focal point of attention not only for those who want to win a war but anybody with goals and objectives to reach like beating the crap out of your opponent sitting at the next PC or across an internet connection. Question is, do you do that by outsmarting him slowly with a triumphant “Check Mate”, or do you hit him with all you got right then and there before he even has a chance to defend himself? Let’s take a look at them both. When we mention Turn-Based, Chess comes to mind. You look at the board, note down the position of the pieces, plan your goal (which pieces do you go after in order), then study your moves (if I take his queen, will his bishop be in a position to retaliate and what tiles would be left open to the other pieces of both sides in the game?). You find out that you can lure his Rook away from his King by killing the knight instead then close in for the kill with your own queen. This becomes your tactic so to speak. Of course the Rook may not react and play dum-dum instead in which case your gambit may end up backfiring at you. After an endless amount of time postulating the pros and cons of doing it, you finally make your move. Your opponent, who took a break to take a pee, take a snack, drink his coffee and bring out the trash looks at your move and triumphantly exclaims, My Turn! A computer game is of course much more complicated and fun than this. 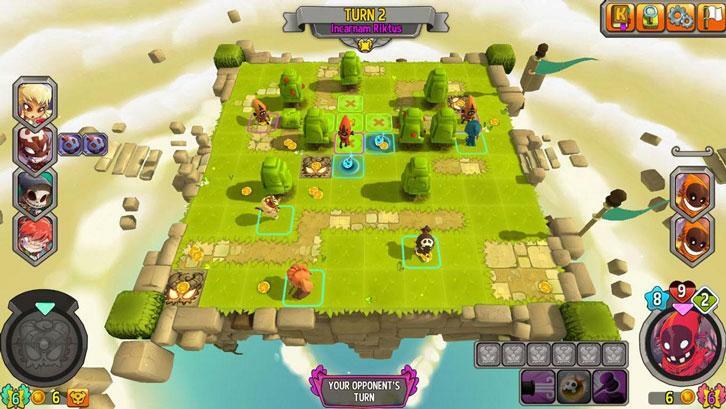 Turn based strategy games have lots and lots of things to consider before making a move. You have unit stats, area resources, supplies, troop morale, the decision to build and a whole lot of speculations of what may or may not happen as a result of your move. Games like Civilization and Master of Orion rely on one’s ability to analyze the current situation and predict the outcome of a certain move or an entire campaign. One has enough time to think because the other party will not move until you have executed yours. Bringing this to a detailed battlefield, games that rely on Turn-Based likewise require some deep thought on which unit moves and to where, depending on which one is in proximity and has the capability to take the enemy down. Again, like Chess, which units will be exposed and vulnerable and have to be defended or saved will have to be thought out thoroughly as well as tactics, like faking or luring an enemy unit into an unfavorable tile or position then pouncing on it. The games, Jagged Alliance Online and Krosmaster Arena, are good examples of this. Real-Time Strategy gaming plays a lot like Turn-Based except that in Real-Time, you don’t have the time. You don’t have the luxury of thinking things over and examining each and every angle to your move. Your enemy will not take a break while waiting for you to make a move because he will be making his move at the same time. Strategy and tactics apply at a very much quicker pace and decision making will have to be done during the spur of the moment. Most of these games are base and unit building affairs with hit and run tactics employed by both sides. Getting your troops out into the field as quick as possible to either defend your position or prevent the enemy from fortifying his own might be one of your strategic priorities. Which troops or armored units to use and how to position them for optimal advantage would be a tactical decision you would have to make. The end results of your actions (or inaction) would usually be on you immediately as your opponent’s troops come charging down the main gate. You simply don’t have enough time. You are riveted to your seat not even able to scratch your nose. Everything has to be considered, decision to build, troop stats, available units, weapons, resources, everything. With this kind of gaming, having the skill for quick decision making and reaction would be tantamount to winning. Good examples of MMORTS games, aside from games like StarCraft and Warcraft, include Tribal Wars 2, Sparta: War of Empires, Travian: Kingdoms and more. In closing, whether it’s TBS or RTS will depend on the game as each has its own strength, weakness and fun factor to show for. 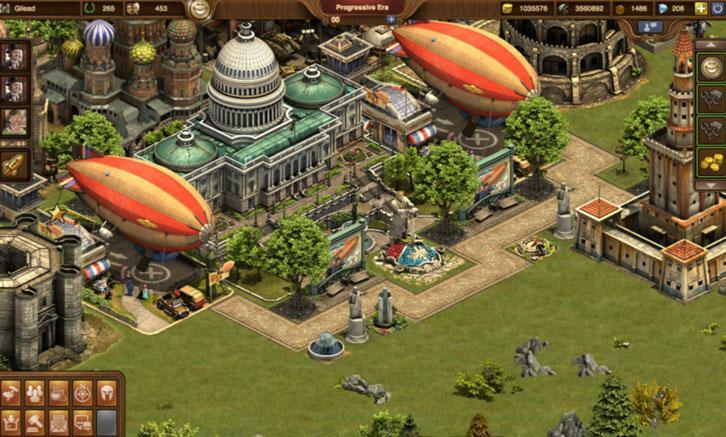 There are Hybrid games that use both, such as Forge of Empires, but developers tend to choose either one or the other when they develop their games. Again, RTS is no better than Turn-based strategy because it depends on which play style that the player personally prefers so they could get the most fun and satisfaction out of the games he plays. After all, in the end, beating the other guy is what really matters.